If you are looking for a simple piece of exercise equipment you can use without preparation at any time, Consider an exercise bike or 'fitness bike, This X-Bike gives your legs a workout and also improves your cardiovascular fitness in general. 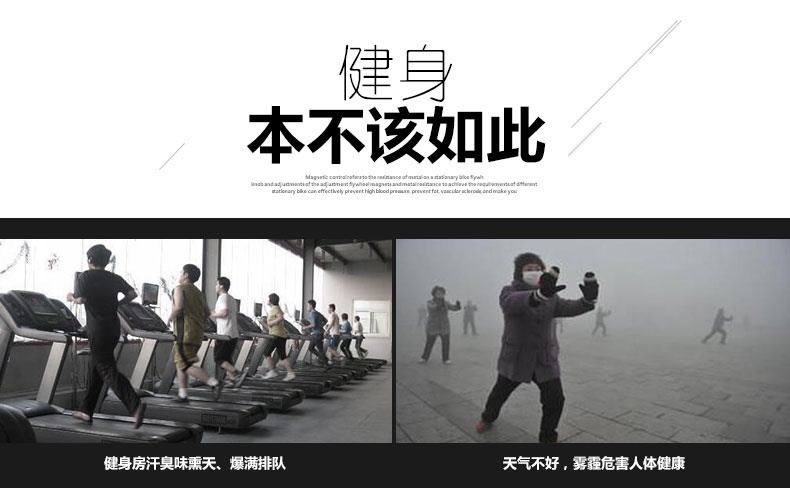 They're ideal if you enjoy cycling but live in a city and don't like to share your workout with the traffic. Workout at a pace that suits you and in the comfort of your own home with the X-Bike Trainer Aerobic training cycle. With a robust, heavy duty steel frame and a deep padded comfortable seat it's ideal. 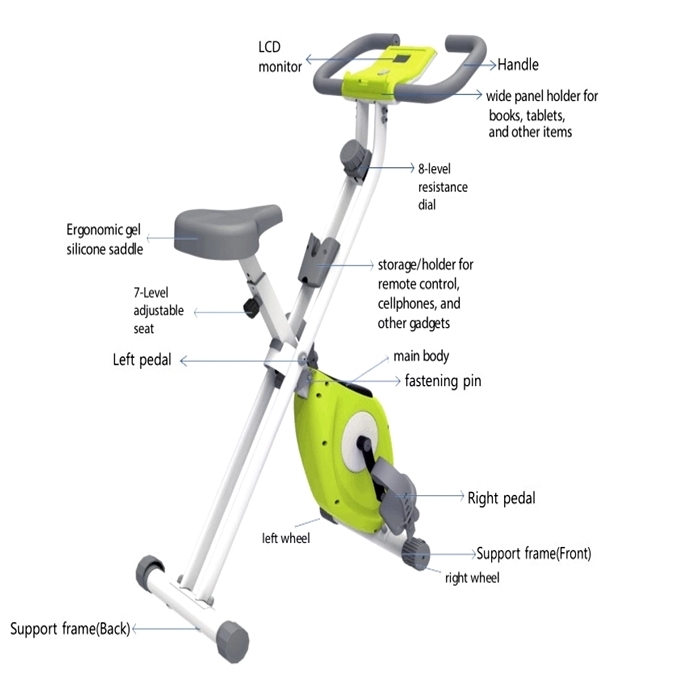 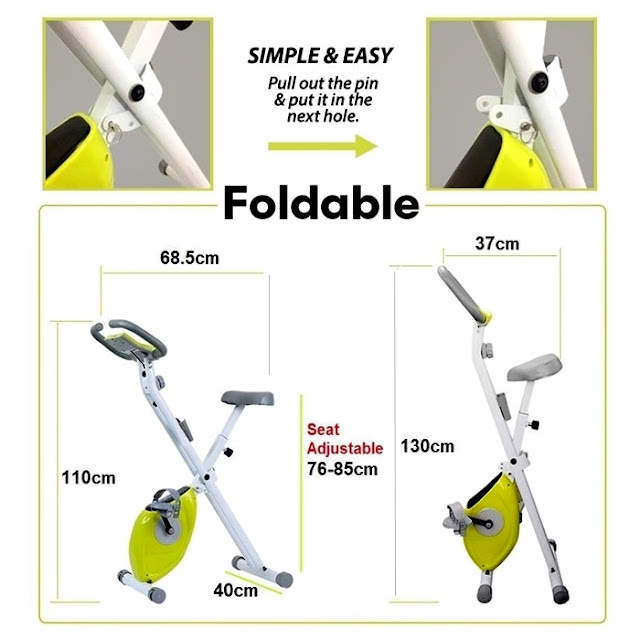 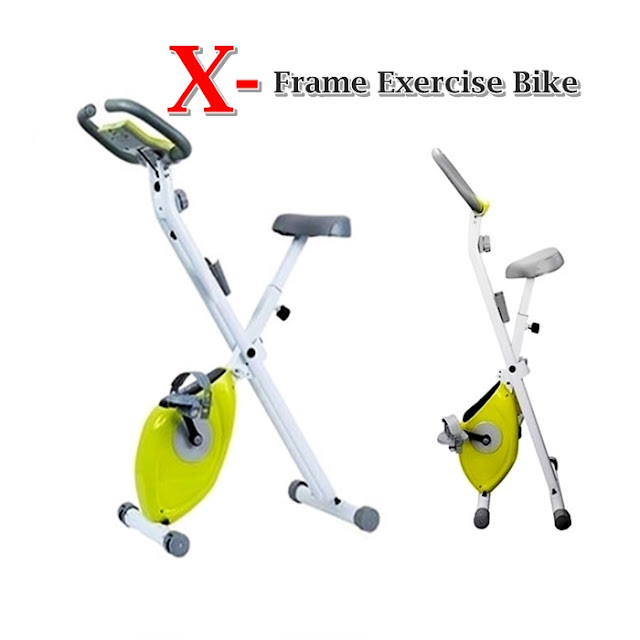 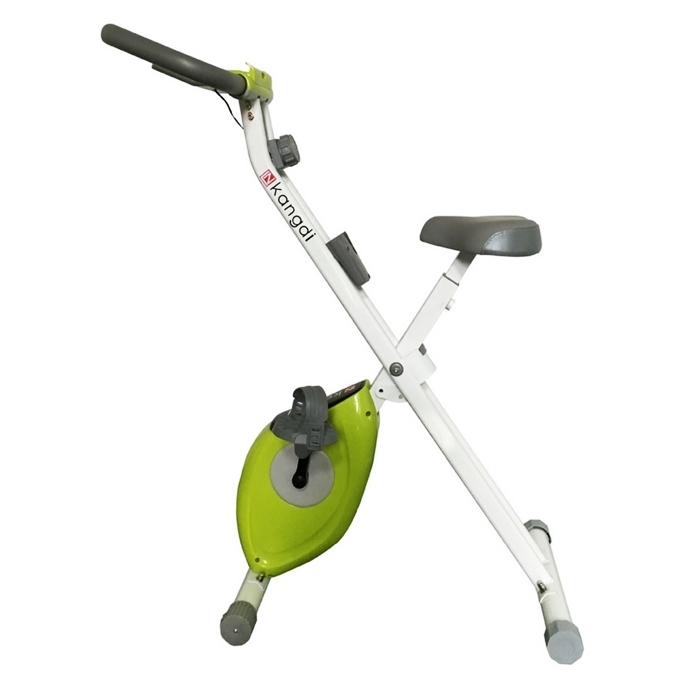 This X-Bike Folding X-Frame Exercise Bike is a Belt Resistance folding bike and is a great way to increase your overall fitness level. 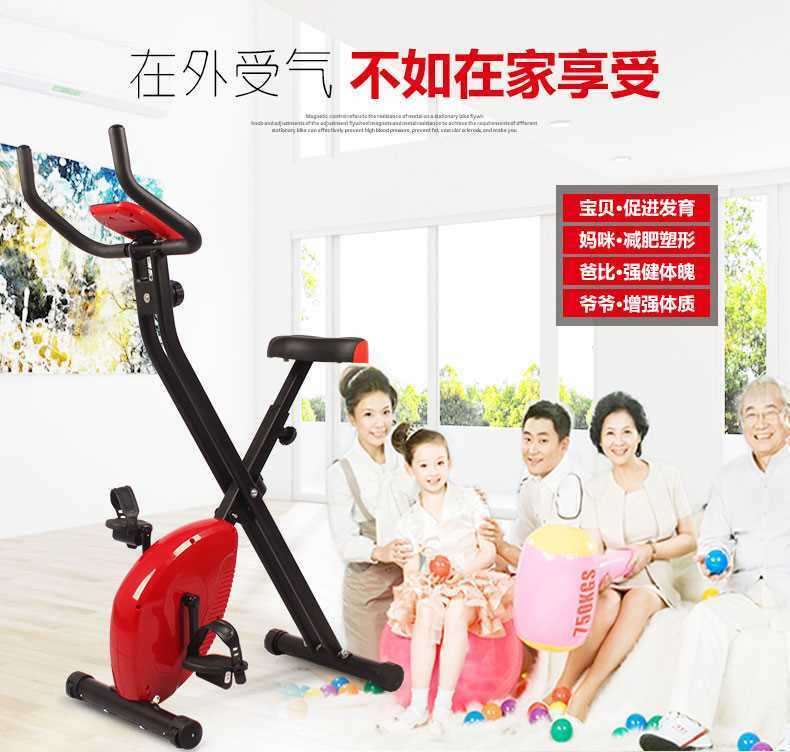 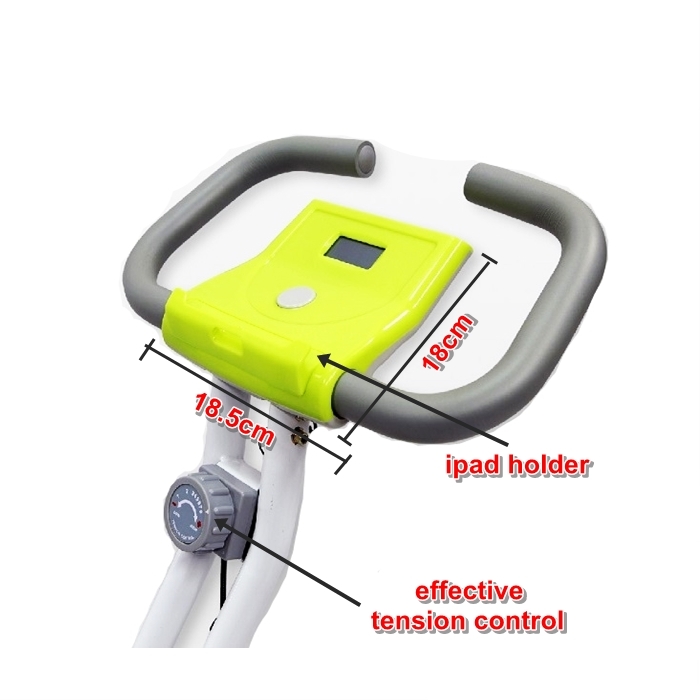 The X-Bike Folding X-Frame Exercise Bike features a silent drive Magnetic Belt resistance system with an dial tension resistance adjuster. 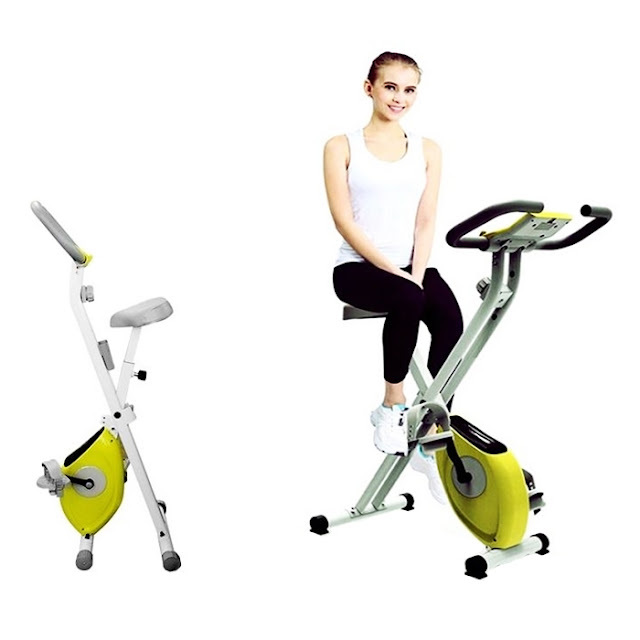 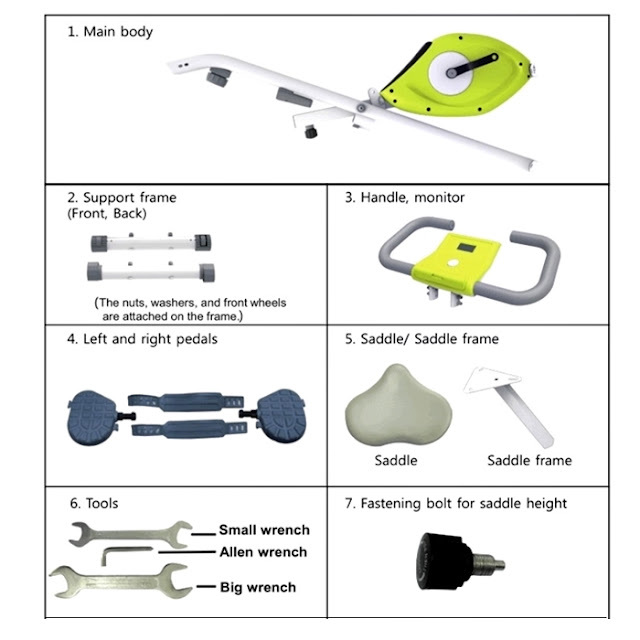 The Space Saving X-Bike Folding X-Frame Exercise Bike has a chip resistant tubular steel main frame handlebar uprights and handlebars.